Perú Mágico is a pay-TV channel that broadcasts a number of the best shows produced in that country and other territories for Peruvian ex-patriates to watch in the U.S. and other territories. 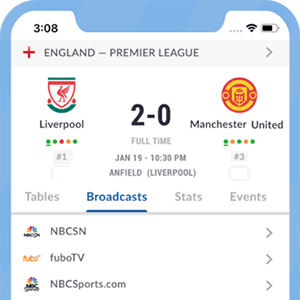 This channel allows users to watch football games due to their joint-ventures with other sports networks such as Movistar Deportes and Gol Perú. Added to live coverage of football games, Perú Mágico broadcasts sports shows with highlights to round up its coverage. DirecTV owns exclusive broadcasting rights for Perú Mágico in the U.S. on channel 431 (both standard and high definition). Peruvian ex-patriates living in Chile and Venezuela can watch this channel on MovistarTV's channel 432. *Got itLive Soccer TV does not provide Peru Magico live streaming. The information provided on this page is simply Peru Magico soccer TV schedule.